Body-centred Psychotherapy is used to address a wide variety of physical and emotional concerns. It is a truly holistic approach that honours the body-mind connection by integrating body awareness, touch and or movement or into the therapeutic process. Not all clients wish to receive touch and each client’s uniqueneeds are respected. This approach is supported by the latest, cutting edge research from neuroscience and psychology into the body-mind connection. We are increasingly aware of the importance of integrating the body into psychological work in order to address the whole person. Many clients find that talking alone is not sufficient for them to heal from the past experiences that are creating their current suffering. Sessions are conducted fully clothed, sitting, lying on a padded table, or standing. 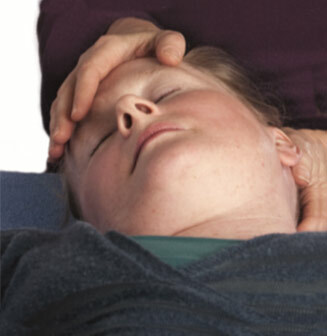 Gentle ‘Mindful touch’ based on the ‘Alexander Technique, Feldenkrais® method and awareness of the body’s energy system may be used to help increase awareness, release tension and shift chronic holding patterns. Simultaneously, therapeutic dialogue is used to unearth memories and emotions stored in the body so they can be cleared. This approach is respectful and effectively incorporates humour and visualisation. Mindfulness principles are integrated throughout the process including awareness of the present moment, acceptance, non-judgement and compassion. See client comments about body psychotherapy here.